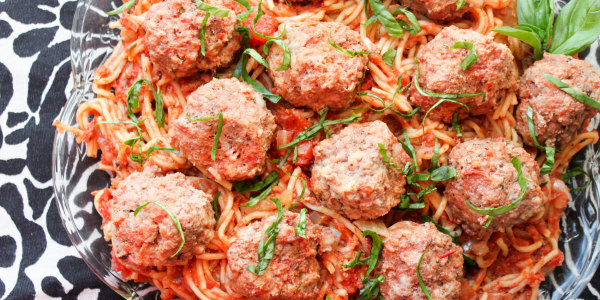 Banish mediocre meatballs forever thanks to these secrets from award-winning meatball expert Donatella Arpaia. Meatballs are pretty straightforward. People just buy the meat, squish it up with their hands, ball it up, toss it in a pan and they're good to go ... right? Well, actually, wrong. 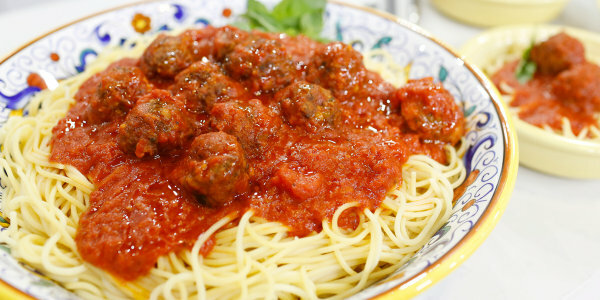 Meatballs are pretty simple, it's true, but there's a big difference between an OK meatball and an extraordinary one. There's a lot of room for error. 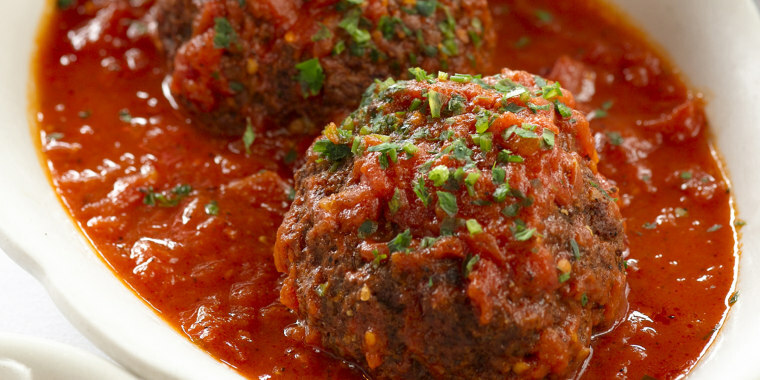 Instead of putting up with a lifetime of mediocre meatballs, here to the rescue is Donatella Arpaia, New York City's award-winning meatball expert. Just in time for National Meatball Day, which is Saturday, March 9, step up your meatball game with five easy — but essential — tips for the making the best meatballs you've ever tasted. 1. Choose high-quality meat — and mix it well. "Ground meat in general is inexpensive, so I think that you should go for the better quality one," she told TODAY Food. "I like to mix veal and beef, but as long as you get hormone-free, antibiotic-free meat, I think it really makes a difference." It's also important for meatball makers to really get in there with their hands. "People usually don't mix it enough," she said. "You should be combining the ingredients with your hands for about five minutes, until everything is smooth." 2. Use bread soaked in water — not breadcrumbs. This is the chef's secret trick. Tear a loaf of Italian bread into chunks, soak them in water for about five minutes, squeeze out the excess water and then combine them with the meat. "Breadcrumbs make meatballs very heavy," she explained, but soaked crumbs keep any type of meat moist. It might not be as healthy, but Arpaia really encourages frying over baking to ensure a crispier crust. "It gives them that golden crust," she said. "You don’t have to deep-fry them, just pan-fry in vegetable oil and don’t crowd the pan." 4. Resist the urge to touch the meatballs. Once the meatballs are placed in the pan, don’t even think about moving them. "People play with their meatballs too much," she said. Just turn them once, until a golden crust forms on both sides, and then lay them on a plate to cool. 5. Wait before adding meatballs to the sauce. It's normal to want to pop them all into your mouth at once, but please be patient. It’ll be worth it. "Put them in the sauce a half hour before you’re ready to serve," Arpaia said. If they're put in the sauce too early, warned the Food Network judge, they’ll fall apart and lose that crust you worked so hard to create. This article was originally published on Sept. 14, 2016.